Justin Rattner, CTO of Intel, about the future of virtual worlds and the rise of the 3D internet. - Are we at a similar point with respect to the 3d web that we were in 1993 with respect to the 2d web? - The various ‘islands’ on Second Life are just one example of a virtual environment. We could just as well meet in the multiverse virtual world, or MTV’s virtual laguna beach, or maybe even a mash-up of all three. - The biggest market opportunities happen when we change the way people interact with computers. - Google Earth is not much for social interaction – not that it couldn’t be done, but it hasn’t been done yet. - As much as Second Life and the other virtual worlds like it are pretty cool, they’re not what we would consider or define to be the 3d internet. We want to see exceptional levels of presentation and cinematic quality in the graphics. We want to make user content creation much easier. - We want the persistence to apply across virtual worlds not to be contained just in a single virtual world. We want higher levels of social interaction and better human-computer interfaces to enable that, and we like the behaviour, the way things act in the virtual world to be much more natural. - Second Life is only an example because people are familiar with it, but there are literally dozens and dozens of these virtual worlds available on the internet today: Club Penguin, Webkins, Eve Online, World of Warcraft and others. - MMORPG games (Massively multiplayer online role-playing game) are a rich 3d environment and the games have really pushed the 3d experience. If you want to look to the future and how the general experience will be, look at the games. 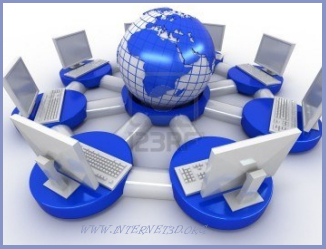 - There are different kinds of metaverses, the client-server variety like Second Life. - Paraverses are something like a mash-up of virtual worlds combined with the physical world. An example of this is virtual surgery where doctors can experiment, practice and learn complex surgical procedures and sort of operate in a virtual environment that is projected onto the real environment, what the actual patient looks like. - Machinima (an artificial word, composed of "machine", "cinema" and "animation") …refers to movies or television programs that are actually made entirely inside a virtual world. No casts, no crew, you create the characters and the environment entirely within the virtual space and make a movie of it. - There are megatrends like social networking which has grown tremendously over the last few years. Increased bandwidth and user generated content is incredibly important. High-definition television is another important trend: users are getting increasingly accustomed to very high-quality imagery. 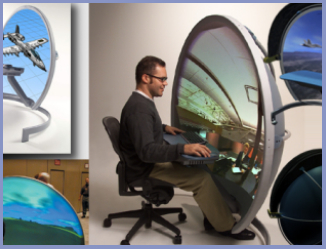 - It is now socially acceptable to be part of virtual worlds. Different countries around the world have embraced this new technologies in different ways. However, not just technological changes, but the social and cultural changes will really be the foundation for the growth and development for the 3d internet. - Raytracing will be an essential technology in the move to the 3d internet. Users however will not be satisfied with just good looking imagery; they want it to behave in a very natural and realistic fashion. - Human-computer interfaces are needed who will let us be an active and integral part of the 3d environment – the user must be really engaged in the 3d experience. For example the Novint Falcon (Forced feedback device) and the 3d mouse by 3Dconnexion. - One can either create an avatar that looks nothing like you, or one can create an avatar that looks exactly like you. Trust is very important in the virtual worlds: When your avatar is dealing with another avatar you must be able to trust that avatar is an accurate representation of a member of the virtual space. - We need to develop open environments, that are going to let us having these virtual worlds where we can move freely amongst them and we need to deliver much more rich content, and finally we need to created a trusted environment that is safe and secure. Justin Rattner is CTO for Intel, Corporate Vice President and director of Intel’s Corporate Technology Group. He is responsible for leading Intel’s microprocessor, communications and systems technology labs and Intel Research.